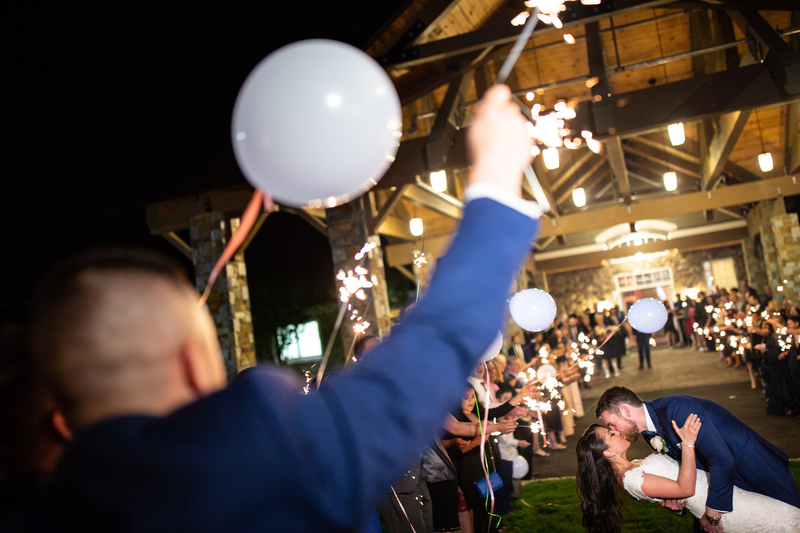 Like mentioned above, there are so many fun ways to mix the 4th’s trademark patriotic colors into the mix, but let’s face it, the white part of the equation is a common sight at weddings, and the blue part isn’t so uncommon either. No one’s saying that you can’t be bold with those colors, but just that it takes some creativity. With the red part, however, it doesn’t take much, at all, which is why it’s such a great way to tap into the spirit of the holiday. Red is bold in its nature, and if you embrace that inherent boldness and use the color in fun, inventive ways, then it’ll only enhance that boldness. How do you do that? Well, the obvious answer is red roses, whether you incorporate them into your bouquet, decor, cake, etc. But you could also sprinkle some red into your attire, for example, or go with bright red chairs at your reception. The point is, the bolder the better. Just as bright red roses are a perfect element with which to weave the spirit of the 4th into your wedding, berries are also a natural fit. Strawberries and blueberries, specifically, and either way, they just scream the Fourth of July. The obvious application is the cake, but it’s not your only option. For instance, you could also serve berries with whipped cream and some other toppings for guests who may want something sweet yet not something as rich as the cake. Nothing says the Fourth of July like a big fireworks display. It’s just a classic tradition and also a great fit for the ending of a celebration. As long as you go to the right people and take measures to ensure everyone’s safety, then there’s just no more lasting impression you can leave your guests. If you can’t actually make the fireworks display happen, though, then have no fear. A sparkler sendoff is a great alternative. It may not be as grandiose as a big fireworks display, but it can be just as memorable. You also get to incorporate your guests that way, too. While these aren’t the only ways to weave the Fourth of July spirit into your wedding celebration, they should help to get you pointed in the right direction. Good luck!